The robust stoneware vessels, inspired by the archaeology of ancient civilisations, reflect metal, stone and ceramic predecessors. Heavy use of oxides colour the dark, carved exteriors, to purposefully contrast with the highly decorated interior. 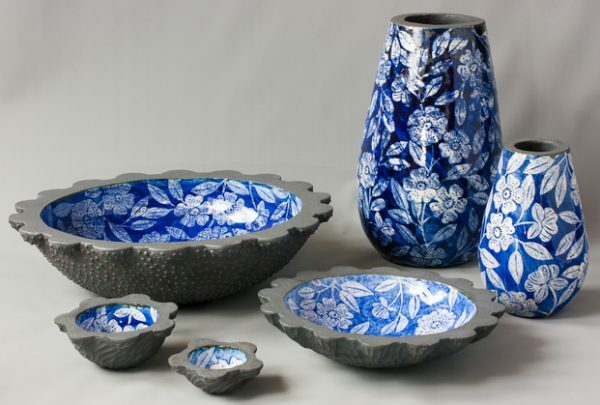 Flora and fauna-rich decorations are derived from classic china patterns and use a variety of decorative techniques, including underglaze painting and transfer printing in cobalt oxide, gold lustre, decals and wax resist.